To the incoming freshman from the rising senior. 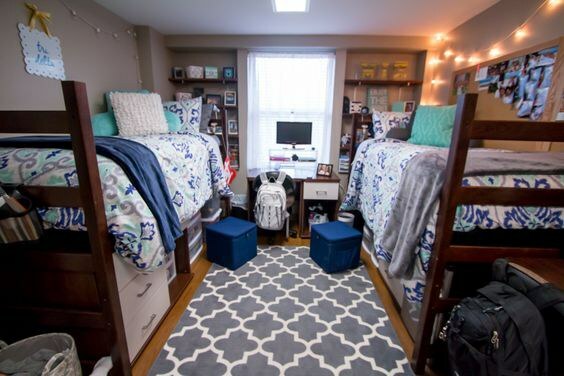 Coming from a rising senior at the University of Dayton who has lived in an over-sized double dorm room, to a suite-style quad dorm room, to a house with virtually no storage space sharing an octagon-shaped single room (and single closet)... 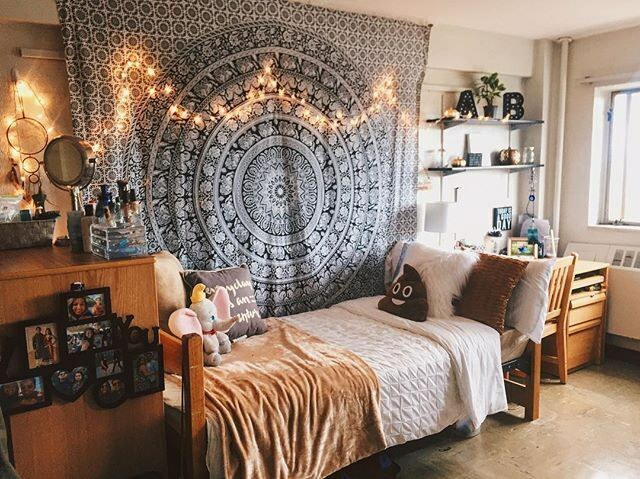 These are the random little things no one thinks to bring to college or put on these lists, but they will make your life on campus a million times better. I ended up buying these items long after I started college, and they were a big help. Don't make the same mistakes I did. These are great for various items such as toiletries, snacks, and, of course, shoes. During college, most of my storage has been under my bed, so this is a must. To remember the happy times with your friends and family. Add to your collection over your college years. Just to add a little something extra to your space. The dim light is totally relaxing. For when you're too tired after going out to actually wash your face. Trust me, you're not going to want to wash your sheets and towels right away so you can use them immediately. Bring back-ups. These are awesome. Plus they smell heavenly. For when you come back after going out and the dining hall has already closed. Ordering Domino's or Jimmy John's night after night is NOT a cost-effective option. For when you're too dead in the morning to walk down and get one from the dining hall. Just in case the dining hall runs out of coffee during finals week. Believe me, it can happen. You will accumulate many of these from free vendors and events on campus, but somehow, they are no where to be found when you need one. So you'll be able to make it to class on those rainy days without having to sit in soaking wet socks and shoes for 50 minutes (yikes). And you can jump in all the puddles you wish. If you're like me and could sleep the whole day if you didn't have an alarm, your phone alarm just doesn't cut it sometimes. Even if you don't think you will use it, you will end up wanting it. These are the only things that will stick to most dorm room walls. Especially if your room has a cold tile floor instead of carpet. For your friends visiting you on campus, or if you ever go on a trip. At least while you live in a dorm with a community sink. Because you don't want your morning-after milk or apple juice to taste like last night's $8 vodka. This is something I totally didn't even think about when I first came to school. Now I have an entire bin JUST for costumes and holiday decor. If you have a few jerseys, you're set. If not, take a trip to the local goodwill with your squad and pick up a few things. The crazier, the better. If you're like me and just like to chill in your towel after you shower ( and a robe is too hot for you), these are a must. And they're super cute. You won't want to lug around a large tote while you're out with friends or doing daily activities. Don't let this be you!!!! I've been there, and nothing will ruin your night of dancing at the club like shoes that give you blisters and disable your walking by the end of the night. And make sure you know the difference and when each is appropriate. In college, your water bottle is your best friend. You never go anywhere without it, and it actually helps you to drink the amount of water you're supposed to drink each day (maybe). If you're a fan of smoothies (or frozen margaritas) and want to make them at home for less. Flashcards are a great way to study. If they're not for you, buy them anyway just in case you want to try them out. Or if anyone on your floor is desperate for them, they will be eternally grateful. When you're sharing a fridge with 3+ other people, things can get pretty tight. I recommend buying this with your roommates so you can share the extra space. Just in case you change your major and have to take math again (like me). So you can know for sure whether or not you have a fever. Because you're actually not supposed to put everything in the dryer, who knew? Works wonders for getting those impossible Thursday night Xs off before your Friday 9 a.m. These things have helped me make it through three years of college, especially freshman year. Hopefully, I have helped you prepare for your college years somehow. Good luck and have fun!! !